The Mac version comes with an installer. The Windows version does not come with an installer. 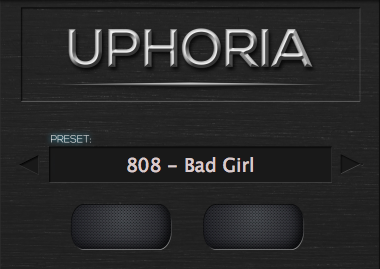 Copy and Paste Entire “Uphoria VST (PC)” Folder (not just the DLL) to your VST plugins folder. 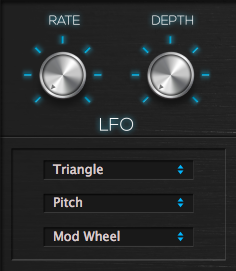 This is your LFO. 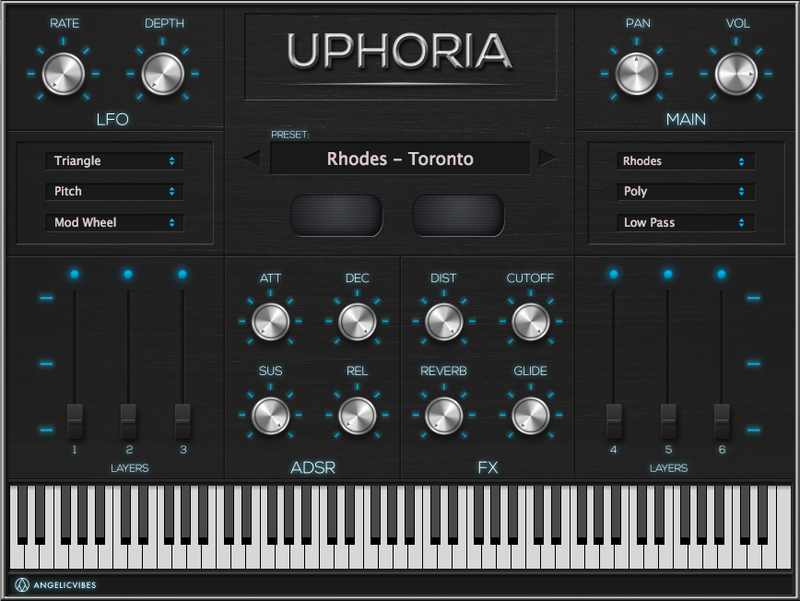 With it, you can modulate the pitch, expression, and pan of a sound. You can also select between different wave forms and destinations. Here you have a pan and volume knob. You also have three windows which allow you to select between instrument categories, voices of an instrument, and a low or high pass filter. This is where the attack, release, sustain, and decay are located. These envelopes control the amplitude of a sound. There is your main effects section. 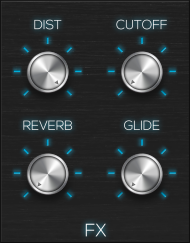 Here you have a distortion and cutoff (modulate filters) knob, a subtle reverb knob and a glide knob. 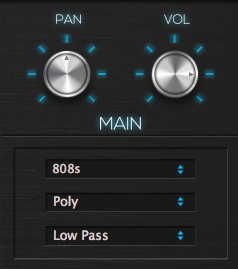 Here is the preset window. 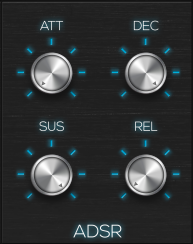 This is where you choose between presets. These sliders are the layers. The blue light means they are on. No light means they are off.